This steamer set provides everything needed to steam vegetables, fish, even pork or beef. The covered saucepan can also be used without the steamer insert to cook an array of dishes for family and friends. There’s a reason why Anolon is the Gourmet Authority – we take the time to make quality, precision cookware that creates the perfect balance between functional beauty and the durability you need for everyday cooking. 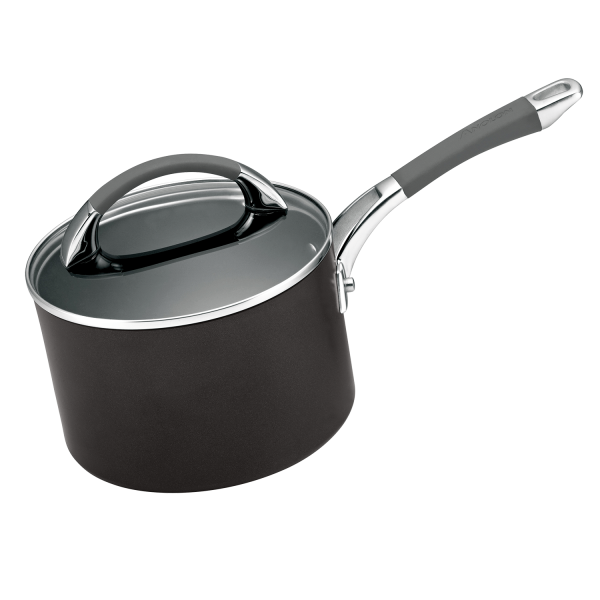 Twice as hard as stainless steel and metal utensil safe, the hard-anodised construction of this Anolon Endurance saucepan with bonus steamer provides exceptional heat conductivity and distribution. DuPont Autograph® non-stick provides maximum food release and is easy to clean. Riveted handles for strength and durability, with SureGrip™ for ultimate comfort. Suitable for all cooktops including induction. Anolon Endurance+ 18cm/2.8L Saucepan With Bonus Steamer is rated 5.0 out of 5 by 1. Rated 5 out of 5 by Jim27 from Best I’ve used So well made and easy to clean. Nothing sticks to it. Can’t recommend highly enough.